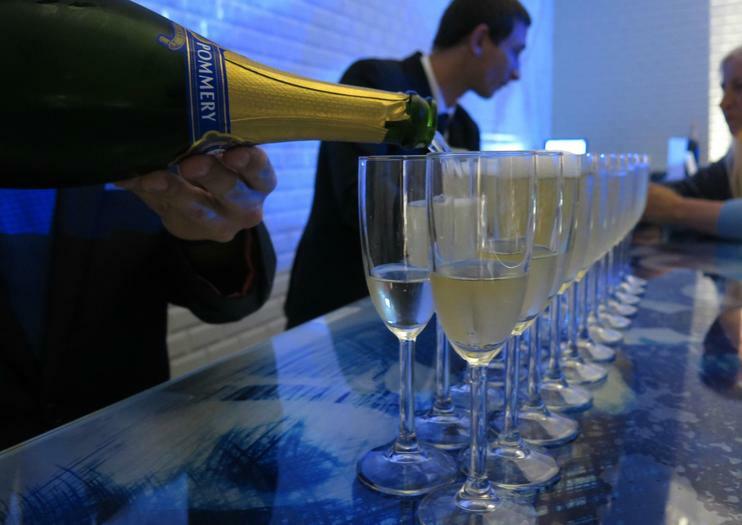 Founded in 1858 by Alexandre Louis Pommery and Narcisse Greno, Champagne Pommery was at one time better known for its wool trading than for its bubbly. Today, however, this massive house is one of the Champagne region’s largest producers of the popular celebratory beverage and a destination for travelers seeking to sample sparkling glasses in the same setting where it’s produced. Visitors can tour the network of chalk pits that sits beneath the city of Reims, where more than 20 million bottles of champagne are stored in a natural temperature-controlled environment. Guided tours include a trip around the grounds, a visit to the cellars and a detailed explanation of how this favorite beverage is produced, bottled and distributed. Pommery is located at 5 Place du General Gouraud in Reims. The house produces some 500,000 cases of champagne per year. Tours take place daily, including public holidays and weekends. Expect a heady experience on this intimate tour of France’s magnificent Champagne region. Any tour of Champagne wouldn’t be complete without a visit to an iconic champagne house, so you’ll enjoy a guided visit and raise a glass of bubbly at the legendary Mumm cellars, home to something like 25 million bottles of one of the world’s bestselling champagnes. Then you’ll take a scenic drive (so beautiful that we’ve scheduled a photo-stop) to Hautvillers and the abbey where Dom Pérignon (aka the father of champagne) lived and worked for much of his life, before heading to the beautiful La Cave à Champagne restaurant in Épernay, your host for a three-course lunch and drinks. Learn more about the magical champagne-making process at a family-owned vineyard (a less grand affair this time), sip a flute of authentic house champagne and raise a glass to your exquisite day trip.